This is a very advanced English Rose. 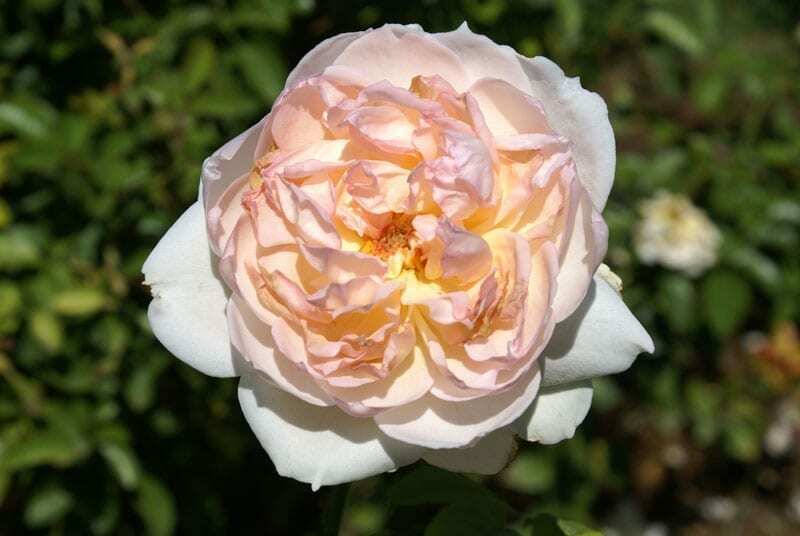 The highly fragrant blooms are shallow cupped at first and gradually reflex to form a perfect rosette. 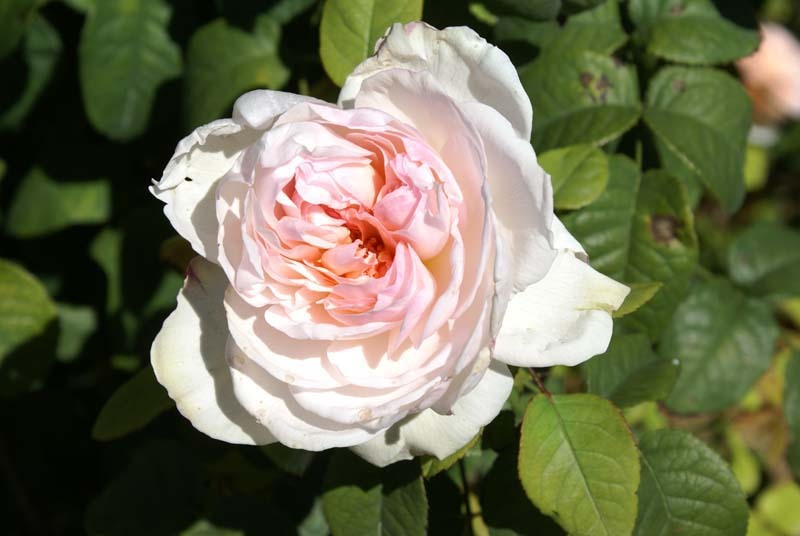 Their colour is a most delicate pink fading to white on the outer petals, contrasting with the deeper pink as the full petalled blooms expand. 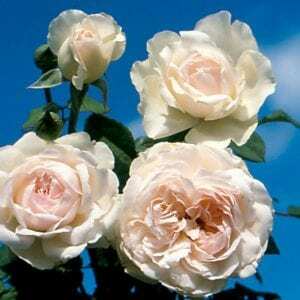 These attractive blooms appear in large clusters on upright firm stems not unlike a modern Floribunda rose. 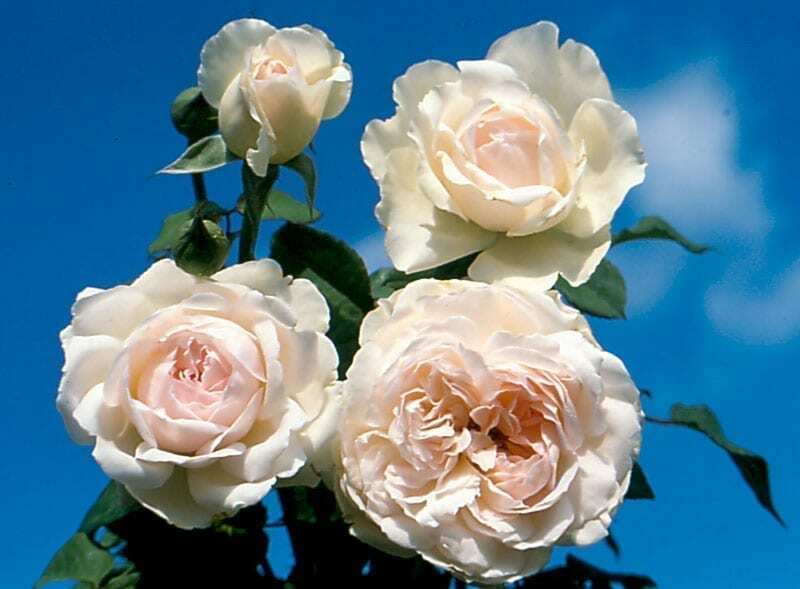 We predict that few gardeners will resist the combination of the charm of the old English blooms with a delicate attractive colour, a superb overpowering fragrance and masses of blooms on a neat bush.